Lisa at Privilege wrote a detailed post about starting a jewelry collection. If you haven't read her advice, go there, then come back, because mine extends her remarks about pearl earrings. '80s seed pearl earrings that look like hanging bunches of teensy grapes? Done like a TV dinner! The options are, restyle, donate or stash somewhere till they "come back". Unfortunately, unless you reincarnate as a human female, that could be too long. I had a thing for Egyptian Revival, scarabs and art noveau flourishes. This stuff is wrong for my casual clothes, too ornate and heavy. You might find you once wore only gold and now prefer silver, or vice versa. 3. 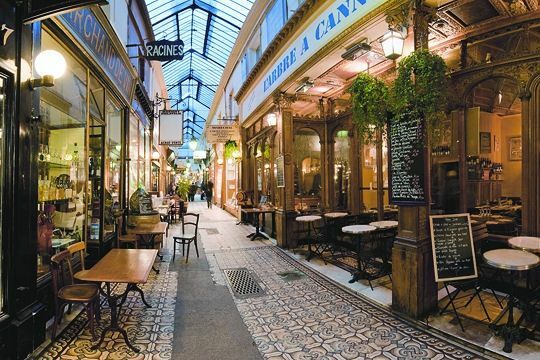 So much jewelry is overpriced; you can feel vulnerable and confused. I place most "fashion" or "designer" branded jewelry in this category. When I posted on reviving jewelry; one reader commented that she didn't like a single thing. That's hardly surprising, as jewelery is a matter of taste. 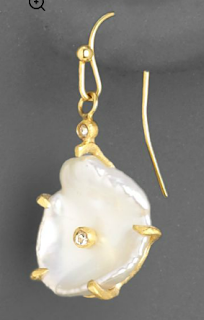 I'll take that risk again to show pearl earrings that are current, reflect good value, and promise good shelf life. The fourth factor is how they'd look on you. 8mm or larger shows the pearl to advantage and lights your face. I'd bypass round whites except for the most conservative of tastes; pearls have come to the party! For whites, the 14-15mm white coin pearl studs by Kate Hines update the classic with details that make the difference: bold gold claws and a size that flashes a swathe of lustre. Price for 14k gold setting, $545; in sterling silver, $224. 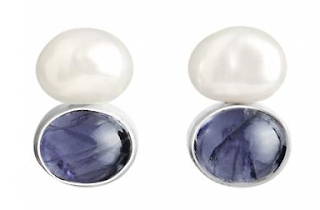 Lisa said, "Accent your pearls", and here's how: grab these Kate Hines gems, set in silver: Iolite Orb earrings, $299 on sale, a great price. Rich, purply-blue Iolite is a versatile gem that looks good on everyone. Also made in a luminous pearl and moonstone combination, $300. An utterly classic design done in a an audacious combo and on sale: do I love you or what? Kate Hines black pearl and paraiba topaz earrings set in silver punch up a clean, versatile style; price, $156. Ooooh, baby! These 9mm dove grey Tahitian keshi studs on 14k yellow gold posts (from Kojima Company) appeal to the woman who wants her pearls with earthy, subtle style. Price, $252. Petite budgets will find keshis kind; Indulgems glam up one-inch keshi drops by cheating a few no-tell accents: cz doubles for diamond, 18k plating mimics gold, but the design, with the inlaid "diamond", is completely chic. On sale for about $50 from Saks. The key error in updating is what I call backsorting, buying something because it goes with what you already have. Then nothing looks current; it's as if you bought '90s shoes to go with your new dress. You know what they say about leopard, "Matches nothing, matches everything"? Same with earrings; just go for it without overthinking the coordination. What if you could inject such wit into your wardrobe for $50? 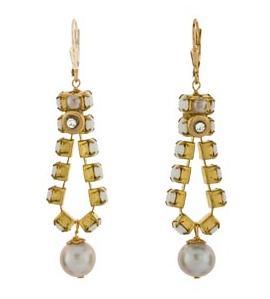 Joli's grey pearl dangle earrings ($48 at Twist) achieve their magic by using vermeil (gold plating) rather than gold to set those white vintage beads, and, since they're on your ears, I wouldn't worry about wear, if you store them carefully. A woman in a cardi, a shirt, and slim pants: her spring uniform. 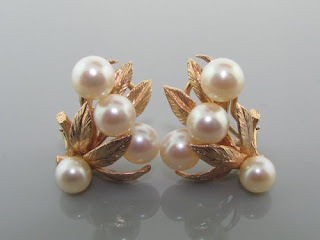 Then she adds a pair of 14k mid-century pearl cluster leaf earrings, as distant from brand-blandness as Grace Kelly is from the Kardashians. Her uniform becomes unique. Price, $595 from Beladora; presently clips but could be altered to posts. 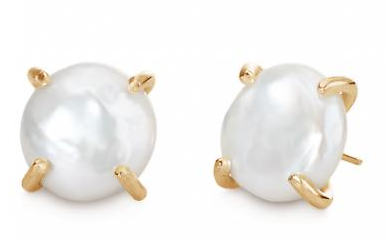 These 12mm natural peach colour Chinese freshwater pearls, ($225 from Kojima Company) would make you feel like Juliet Binoche, bien dans sa peau. Unset now, the lovely folks at Kojima will make this pair into studs or dangles for a reasonable price, or you could take them to your jeweler. Voilà! An April assortment of pearl possibilities to revive your collection–or to choose for a June birthday, for which pearl is the traditional birthstone. 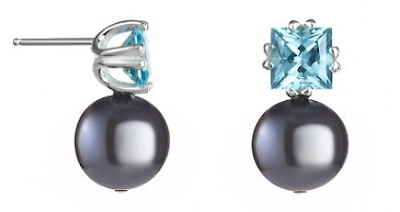 I am in love with the black pearl and topaz...stunning!! Duchesse, I'm so glad that you introduced me to pearlparadise.com, as I'm still thrilled with my keshi dangles. I'm still trying to get a closeup picture that comes close to capturing their radiance. Your picks here are all current, beautiful and unique. 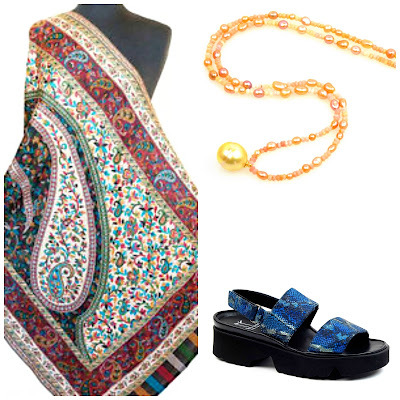 Keshis and irregular pearls are what speak to me right now. I am a June birthday person and Mr. K is always looking for the right gift. I think I've found it for him. Pale peach would be my choice. Why thank you ma'am! 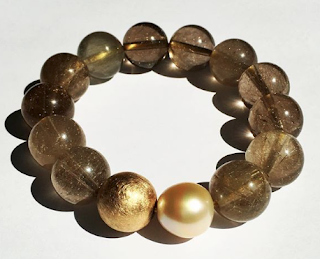 And the black pearl and topaz - a wonderful combination. I also love pearls studded with diamonds, something very edgy about piercing the surface. A great post, as always. Such a great variety of pearls! I'd wear those with a few gold bangles and some red lipstick! I do enjoy your foray into the luscious world of nacre! What gorgeous choices. You've inspired me to start looking at pearls with a fresh eye. Found these which I like very much, simple and could be worn with my casual lifestyle. (Hope the photos come through, I haven't tried to do this before). Pam: Could these be your earrings? Pseu: Thanks for reminder; PP is great vendor and beginning to offer some edgier designs as well as classics. Kristien; DO tell us what Mr K. chooses! hostess: I did think of you when I found those. LauraH: The Kojima site does not presently have the earrings you linked to in their store. It owuld also be helpful if you'd provide an Etsy vendor's name for the flower pair in case readers would like to know more. Both are lovely, and the body colour and overtones on the Kojima pair make them special. LPC: I've long lusted after Gump's diamond-studded pearls, but they are pricey. These are an alternative, and I think very well done. Fun to piggyback on your ideas, than *you*! Mmm, those keshis from Saks are delightful! 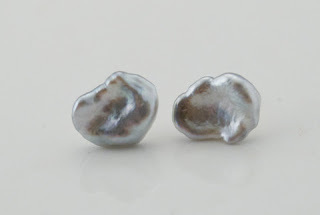 As someone who wears basic 8.5mm pearl studs almost every day, switching out only for a pair of antique pearl and diamond drops or rock crystal ball drops, I know my earrings ate excruciatingly boring. Then again, I wear a ridiculous number of bracelets and feel I have to have some semblance of grounding. Thhe pearl studs and bracelets have become my trademark of sorts...a former colleague said she couldn't imagine me ever not wearing them. I'm hoping that was meant as a compliment! Ha...and it just occurred to me, thinking about this post and your prior. I would much rather receive a pair of stole diamond-studded Tahitian pearls than a diamond ring. Maybe for my 60th! My etsy link in an earlier post is to a pair designed by Moiraklime. She's an interesting option if you are looking for something more casual. Apologies for not providing this info before, I thought it would come through on the link. These all look lovely but I especially like the black pearl with the topaz. Lisa's post motivated me to take my diamond studs and pearl studs to a local jewelry designer for restyling. I wanted to add an amethyst as well. His idea was a classic taper: pearl on top, followed by slight smaller (.41 or .42 carat diamonds) and then an even smaller amethyst at the bottom. The setting will be white gold with a wire, for movement. I suppose I could have gone with something more exciting but I wanted something classic. Hopefully classic doesn't equal outdated.